Who does not know Lawang Sewu, one of the haunted buildings of Dutch heritage which is suspected of being a gathering place for supernatural beings? There have been many courage testing programs conducted here and indeed it has been proven by the proliferation of sightings in this place. Various apparitions in the form of kuntilanak, genderuwo, pocong, nonik belanda, wewe gombal, ghost of Dutch soldiers, etc. almost all kinds of spirits gather here. They live in certain places, such as in the halls, doors, prisons, old wells, and other dark sides. You could say Lawang Sewu is the most haunted place in Indonesia besides klampis ireng. 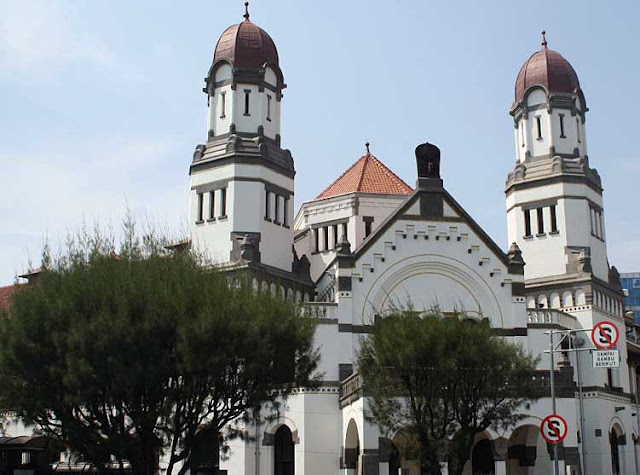 Lawang sewu is located in the heart of Semarang, Central Java, formerly this building was the Nederlands-Indische Spoorweg Maatschappij (NIS) railway headquarters in the Dutch era which operated in the Semarang and surrounding areas. This building was built by Dutch architect Jacob F Klinkhammer in 1903. Construction began on February 27, 1904, until July 1, 1907 with a typical Dutch model that was popular in those days. Many people call it lawang sewu (in Javanese language) because they think there are a thousand doors. The reality is that the number of doors is less than 1000 because people often misinterpret windows as doors. Even though for centuries until now this building still stands firm and is preserved as an icon of the city of Semarang. As the name suggests this building also has 1000 unsolved mysteries. It is said that this place was a silent witness of Dutch colonial times that massacred prisoners in the dungeon, according to the testimony of a community who claimed to have lived in the courtyard of the Lawang Sewu. According to him, the underground is a very narrow prison, they are pushing so hard they cannot breathe and die. There are also squat prisons that only have a height of 1 meter, automatically the prisoners cannot stand or straighten their bodies even the prisoners trapped inside iron bars will be flooded with water to the extent that the head is left for days until sick and dead. There is also a standing prison measuring 1X1 meters usually 7-8 people inserted in this narrow column to death. After his death, his body was dumped in the river behind Lawang Sewu. It was really cruel in the Dutch era. According to detik.com there is a corridor that connects the Sewu with other old buildings in Semarang. 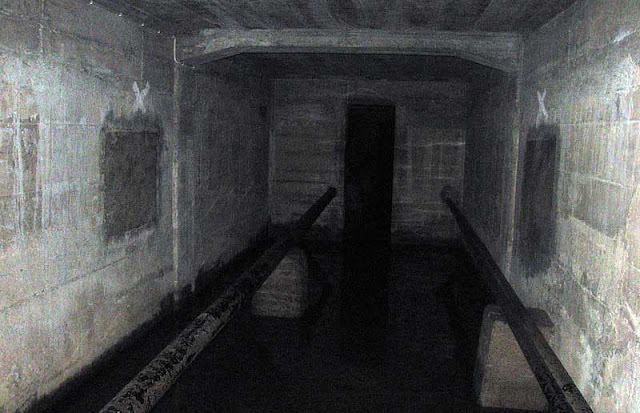 The hallway is similar to a dark and humid water channel no one is allowed to enter the hall because it is feared that there is a dangerous toxic gas. If examined carefully, the passageway is related to buildings in the Kota Tua area such as hospitals and old-school schools which are about 4 kilometers away. This 2-meter hallway was once also used as a prison place during the Japanese occupation. According to the guide, the hall also functions as a vent to cool the lower part of the building. Maybe you have seen the "Other World" guts test program broadcast by the private TV. When filming was done here something went wrong with an infrared camera installed. Several apparitions appeared alternately, even the test participants claimed to see the appearance of a white shadow like a kuntilanak, strange sounds like animals, the smell of strange fragrances, even a fairy. Not until the event is over the participants have waved their hands because they are not strong enough to fear that the creature hurts it. Even participants have used demonic repellent accessories such as prayer beads, even prayers that are recited repeatedly do not make spirits stop haunting them. Bird news said the courage test participants died a day after the courage test event, this news spread to all corners of Indonesia. But the statement was dismissed by suaramerdeka.com after being tracked it turns out that the courageous participant named M Wahyu is still healthy and still working as usual. This awesomeness makes the name Lawang Sewu famous in Indonesia, for those of you who visit Semarang. Lawang Sewu is a tourist destination that must be enjoyed, because in addition to its beautiful buildings there are historical values that can add to our insight. For those who still doubt the awesomeness of this building, please prove it yourself feel the mystical and gripping atmosphere that you may have never experienced before.